Suppose you are starting a new business or growing an existing one. Chances are your wired or wireless network will need upgrading if not a complete new installation. Do not trust this high technology project to your sister’s friend who happens to have some tools and cables. Any person with some industry know-how can come in, hook up a computer and get the Internet working. But will that person ask if you plan to add workstations, printers, secure IP addresses, a wireless network or system router and worry about the security of the network? Most don’t. They simply install whatever equipment is there and then leave the job without giving it a second thought without thorough testing. Setting up a network is a vital step in building your business technology platform and it needs to be done by trained professionals who not only understand where your business is at but also where it is going. 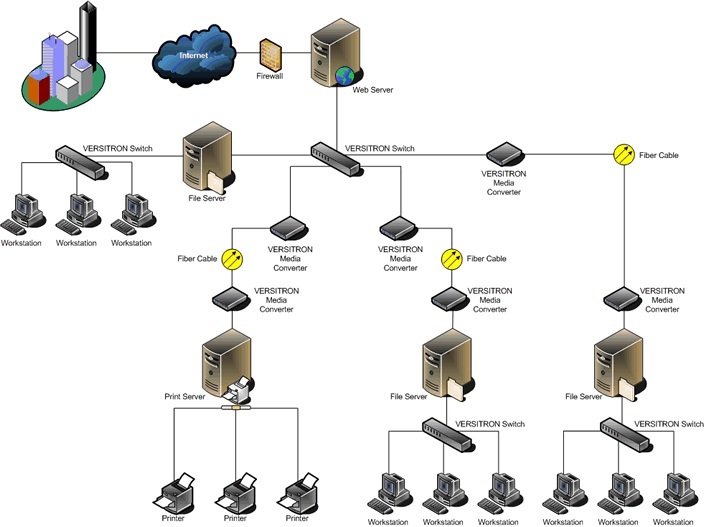 A complete local area network (LAN) scheme can be developed for your organization. VITS is not just an IT vendor, we function as a business consultant and partner to help clients leverage IT investments to give them a competitive advantage. We take the time to listen to their needs, assess what kind of network they will need to start or factor in what upgrades and additions they will need in the future should their business suddenly expand. Our Microsoft Certified technicians can handle any and all Windows applications so the network is up and running in no time.